A journey from the Cape of South Africa to the Serengeti Plains taking the reader through the spectacular, talismanic geography of Africa. The Storm Leopard is an alchemic blend of travel and nature writing that explores the primary dilemma of the 21st century - the conflict of modern lifestyles with the natural environment. This is an account of the author's journey from the Cape to the Serengeti Plains and his search for an answer to the Old Timer, a Kenyan who foretold the end of the wild. Martyn decided on one more trip, but this time without an agenda, without a timetable and without preconceptions: with no purpose other than to know, to feel and to understand. The book is filled with insights of African elephants and antelope, and with portraits of a natural world inhabited by Bushmen, game wardens and scientists. Running through it is an outspoken and highly ethical regard for humankind's relationship with nature. From his first contact with Bushman rock art in the Western Cape, the author is drawn into a spiritual journey as he grapples with the quandary of balancing our lifestyles with protecting the environment. His travelling companion, Stu, a fellow scientist and arch cynic, is nettled by this lack of rationality. Marooned together in their 4x4, the friction, humour and hardship of their journey carry the reader across the continent from one adventure to another, to the final revelation atop an isolated kopje in the heart of the Serengeti Plains. 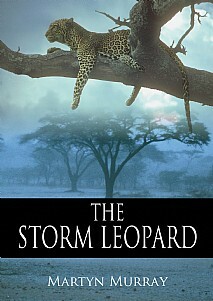 The Storm Leopard is a unique book that emanates from the author's passionate affair with nature and many years of experience in the field as an ecologist and consultant in conservation - nothing deals with today's environmental issues in the same way. The Storm Leopard will be essential reading and a perfect companion for travellers, adventurers and for those visiting the wildlife areas of southern and eastern Africa. Anyone with an interest in indigenous people, conservation, wildlife management and today's environmental debate will find this book of great appeal. It will also be of especial interest to professionals, academics and students in environmental ethics, conservation biology, natural resources management and animal ecology.